Like I’ve said before, it’s not the Syrian refugees I’m worried about. It’s the Christian Extremists or the Confederate Flag waving radical terrorists in the United States I’m worried about. 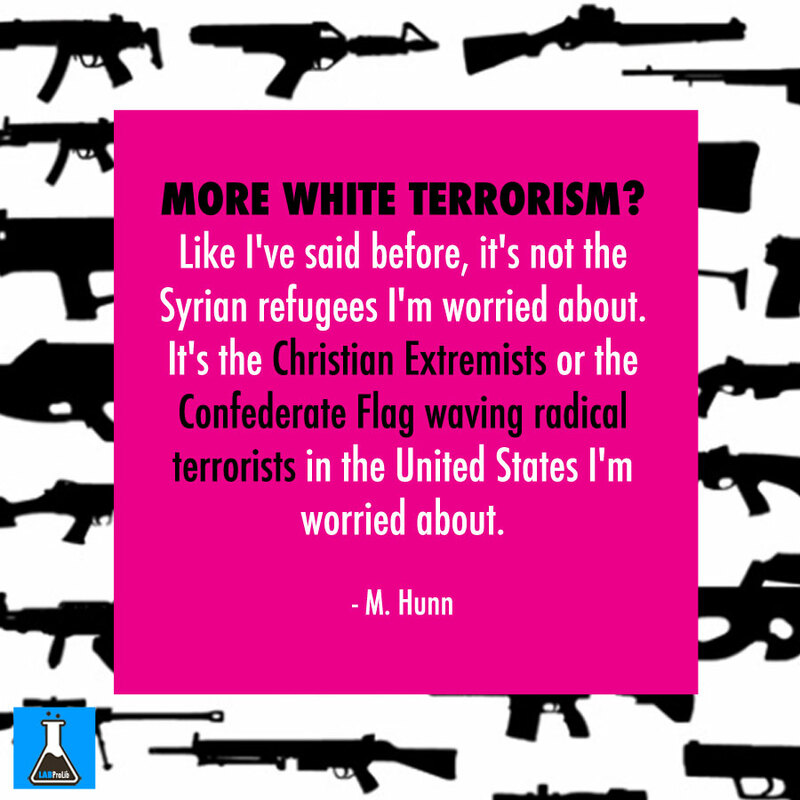 Are we ready to admit that we have a domestic terrorism problem here in the United States?